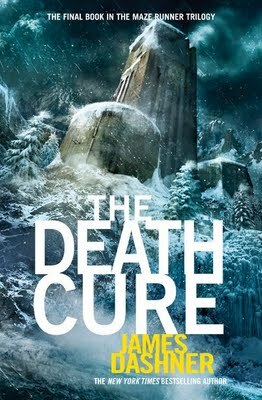 This book is the third in the Maze Runner series. While I always strive to avoid spoilers in my reviews, reviewing the second in a series will naturally spoil some of the first book. If you have not read The Maze Runner or The Scorch Trials yet, you may want to skip this review until you have. Thomas has been under the control of WICKED long enough and now that he's survived the Scorch Trials and out in the real world, he's determined to save his friends and put an end to WICKED's manipulative testing. The more Thomas remembers, the less he trusts WICKED. I read this back in August. I also read the first one back in August. I can remember the first one vividly. I can't remember enough about this one to write a full summary. I know that I felt very unsatisfied with the whole idea that all of these tests were just to map out brain patterns. I started reading The Kill Zone, the prequel to the entire Maze Runner series, but I didn't finish it. My son recently did and said it answers a lot of questions, but I shouldn't have to read another book to understand the trilogy. When I first read this I rated it 4 stars at GoodReads so it must have been entertaining at least, but my test of book quality is always how well it stays with me and this one isn't making a strong impression. It's worth reading it to finish out the series, but I don't think I'd recommend this trilogy like I do The Hunger Games or Divergent.